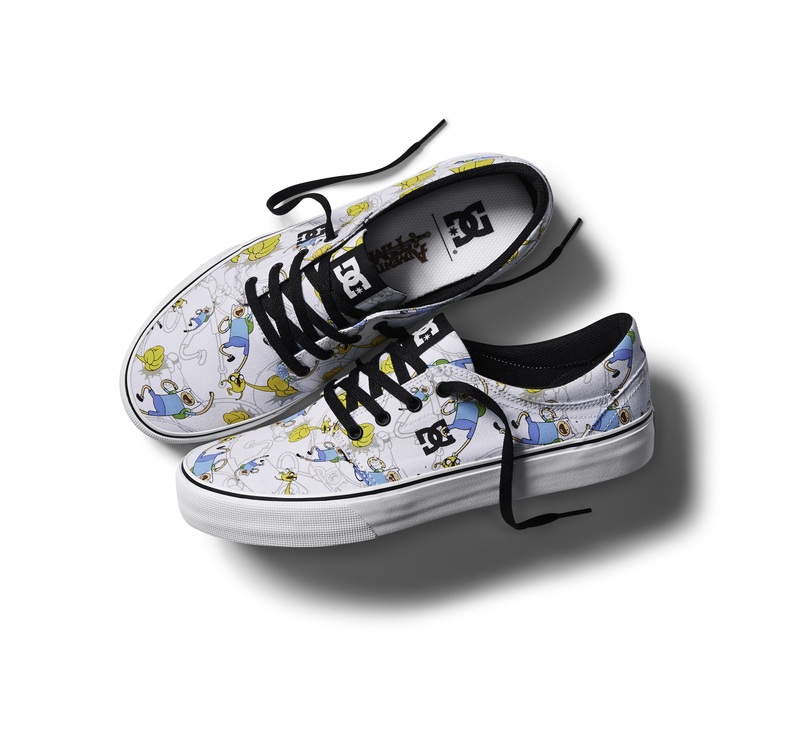 HUNTINGTON BEACH, CA--(Marketwired - November 02, 2016) - Today, DC announces its partnership with Cartoon Network to introduce the DC x Adventure Time footwear collection for winter 2016-2017. The collection captures the adventures of Finn and his magical shape-shifting dog, Jake, in the post-apocalyptic land of Ooo, featuring original artwork on a variety of DC footwear styles for men, women and kids. Join the adventure and get a closer look at the entire collection, here: http://www.dcshoes.com/adventure-time-collection/. The DC x Adventure Time collection captures the land of Ooo with playful, colorful prints on key DC footwear styles, like the Men's Trase, Women's Heathrow and Trase Slip-On. Spot the series' most popular tag lines and characters like Finn, Jake and Princess Bubblegum throughout the entire footwear collection. DC x Adventure Time is now available in four different footwear styles for youth, including DC Kid's Rebound, Trase Slip-On, Heathrow and Pure. For more information on DC x Adventure Time collaboration and to shop the collection, please visit finer retailers around the world or dcshoes.com and for the latest on DC Shoes, follow the brand at @dcshoes and search #DCSHOES. Adventure Time, Cartoon Network's Emmy and Peabody Award-winning original animated series introduces viewers to unlikely heroes Finn and Jake, buddies who traverse the mystical Land of Ooo and encounter its colorful inhabitants. The best of friends, our heroes always find themselves in the middle of heart-pounding escapades. Finn, a silly kid with an awesome hat and Jake, a brassy dog with a big kind heart, depend on each other through thick and thin. Adventure Time is created by Pendleton Ward and is produced at Cartoon Network Studios.